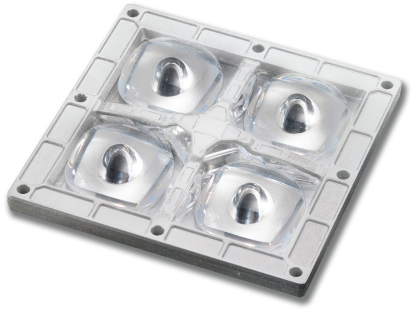 NLS Lighting Silicone Micro Optical System technology takes quality and performance to the highest level. Vandal resistant, superior clarity—Micro Optics have become the best and lasting solution in the industry.  Results clearly show benefits Silicone vs. Competitive Optics. • Shore A hardness increased by approximately 8%. Since the conformability of the silicone affects the sealing of the optical assembly IP‐67 capability after thermal aging should be verified.